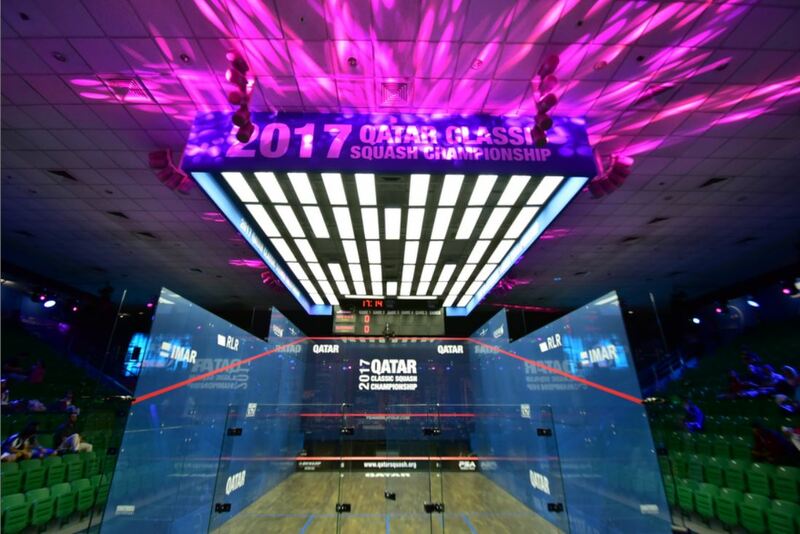 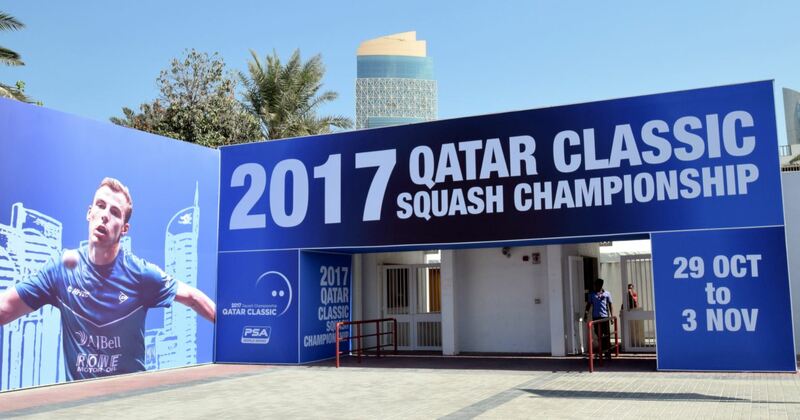 World No.3 Mohamed ElShorbagy will appear in the final of the Qatar Classic at the Khalifa International Tennis and Squash Complex in Doha for a fourth consecutive year after he defeated top seed and World No.1 Gregory Gaultier in the semi-finals to set up an all-Egyptian clash with Tarek Momen, who will appear in the first World Series final of his career. 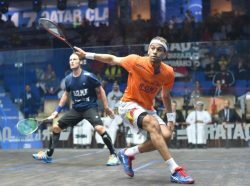 ElShorbagy, who lost to Karim Abdel Gawad in last year’s final, and Gaultier were meeting for the 21st time in what is one of the fiercest rivalries of the modern era. 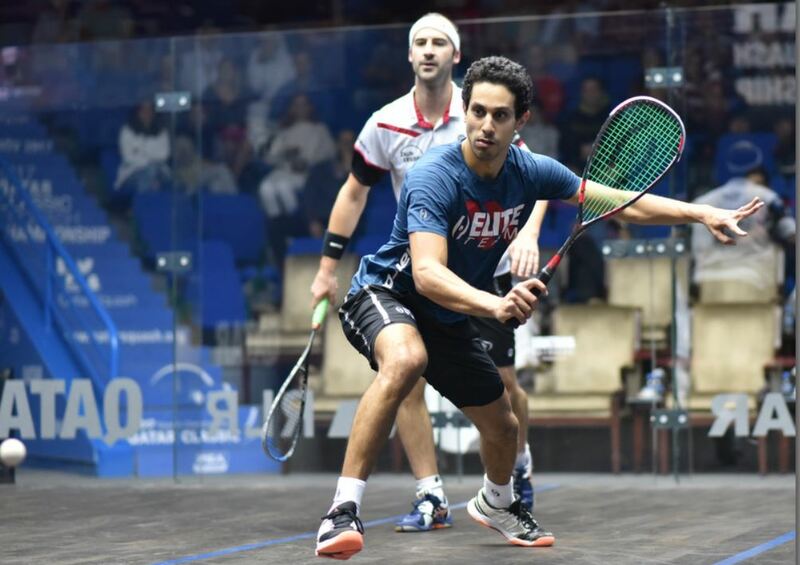 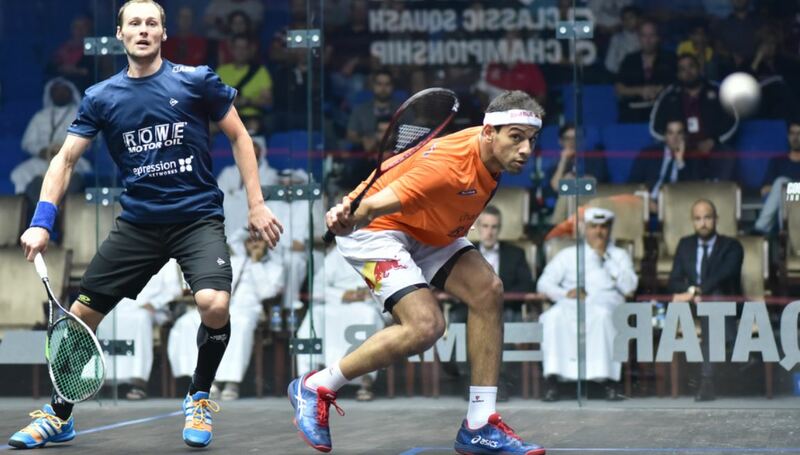 Showing little tiredness after a brutal five-game clash with Ali Farag the day before and buoyed on by a partizan crowd, ElShorbagy attacked with intensity from the off. 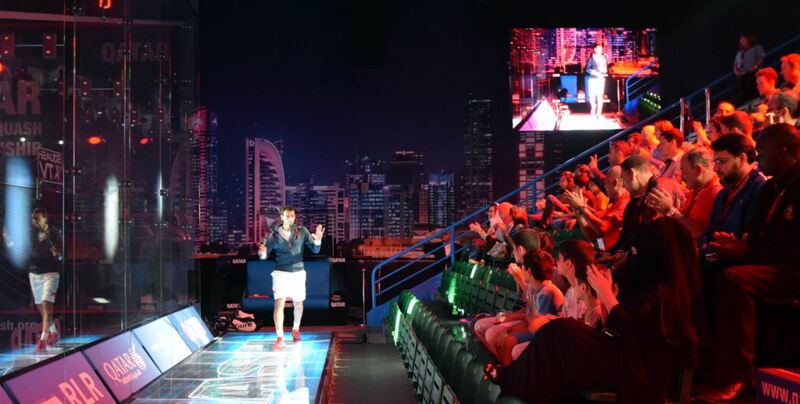 The victory ended the Frenchman’s 30-match unbeaten run in a best-of-five games format and avenging his defeat to Gaultier at the Tournament of Champions in New York in January. 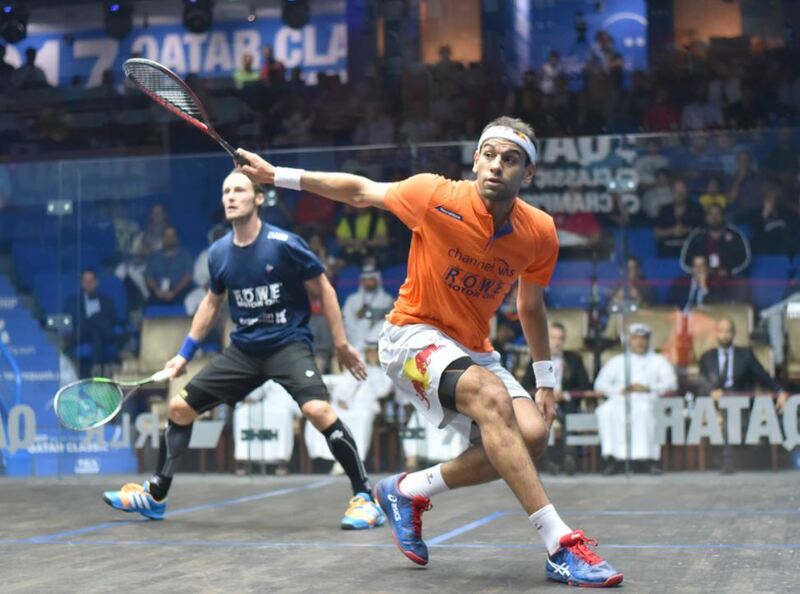 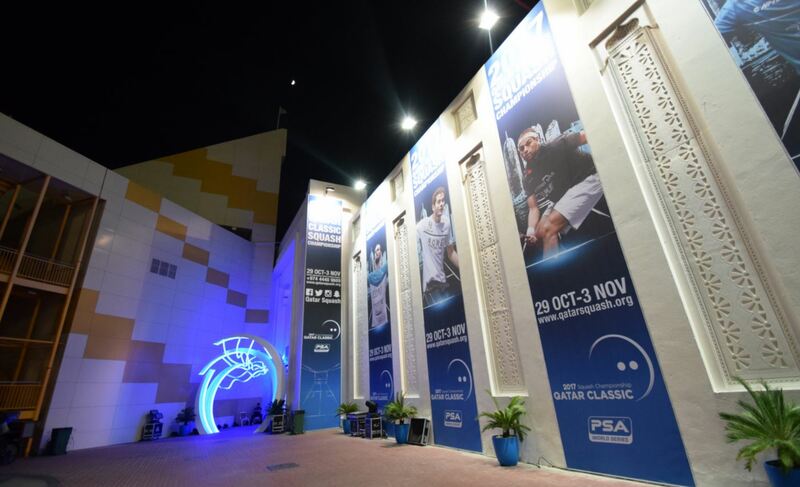 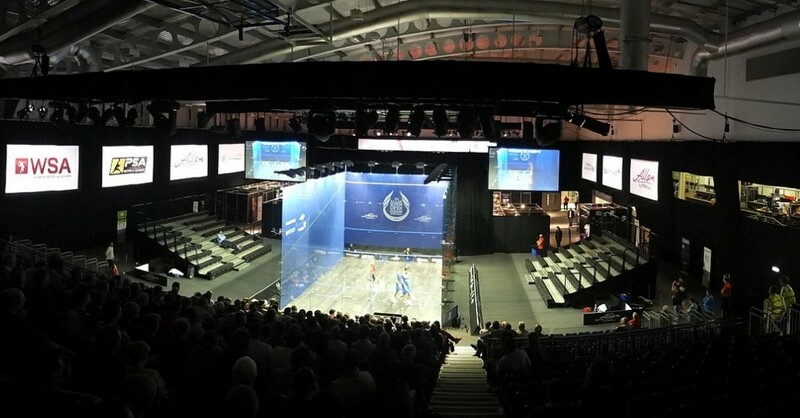 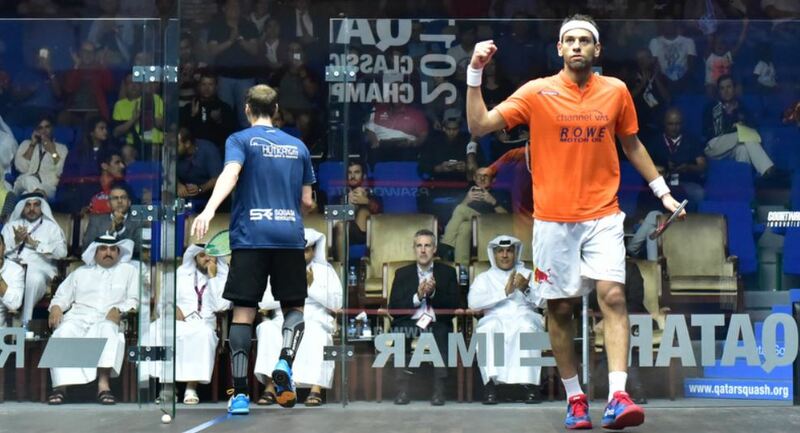 “I’m really happy to be back in the final here, it’s where I won my first ever World Series and to be back in my sixth consecutive final here is an honour,” said ElShorbagy, who also reached the finals of the 2012 and 2014 World Championships held here. “He made a fool of me in that match in New York and I thought about it all summer – it motivated me to get back to my best in the off season and I really wanted to go out there today and beat him 3-0. 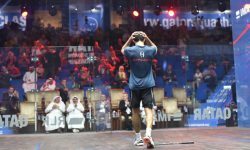 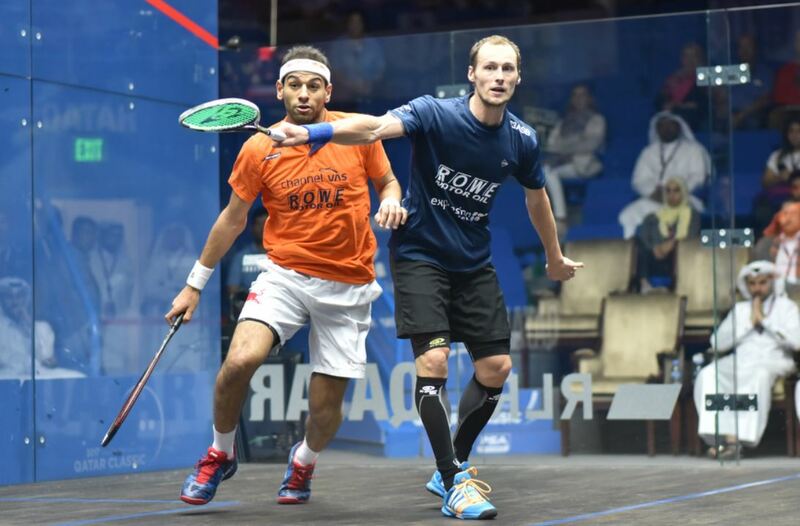 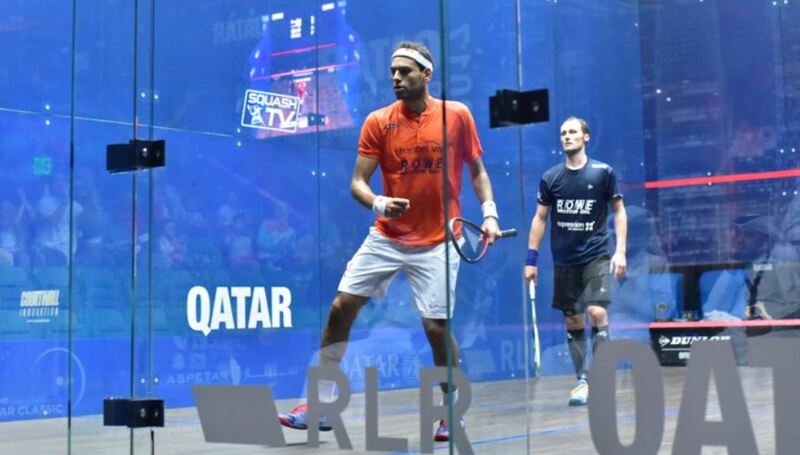 Meanwhile Momen, three years ElShorbagy’s elder at 29, secured a long awaited debut in a major PSA World Series tournament final courtesy of a dominant and controlling straight-games victory over Germany’s Simon Rösner – who was himself competing in his first ever World Series semi-final. 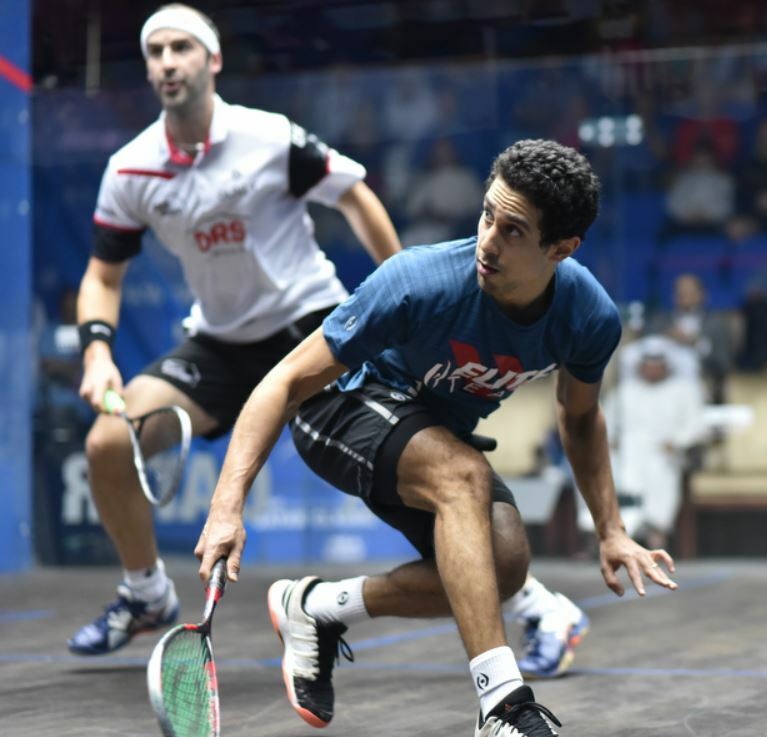 It what was the sixth meeting between the pair it was Momen who kept his nerve on the big stage, coming out firing in the early stages to pile the pressure on the big German, taking early leads in all three games on his way to an 11-9, 11-5, 11-7 victory. 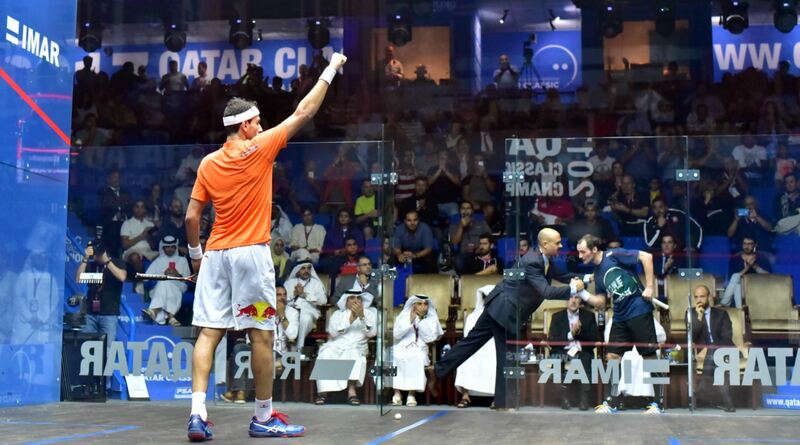 “I’m really happy, I can’t believe I’m in my first World Series final – it’s amazing,” he said afterwards. “I really wanted to win. It’s been long over due for me. 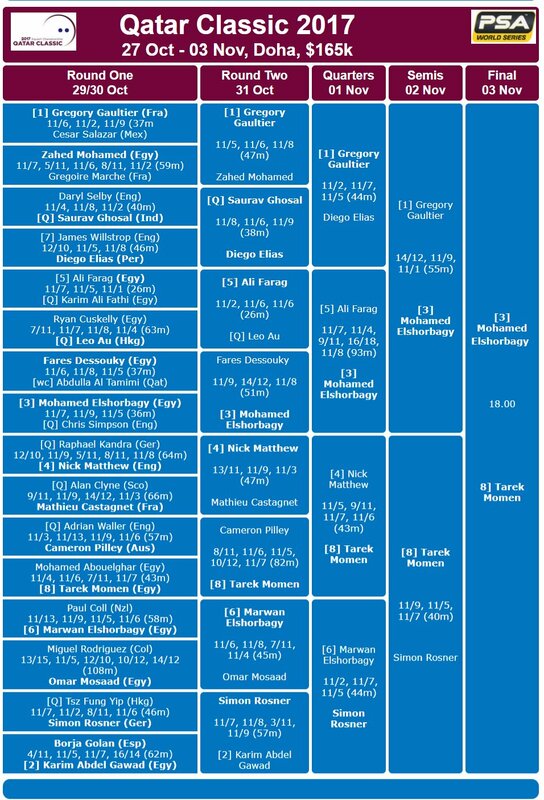 I’ve been waiting to get to the finals of a major event for a long time. 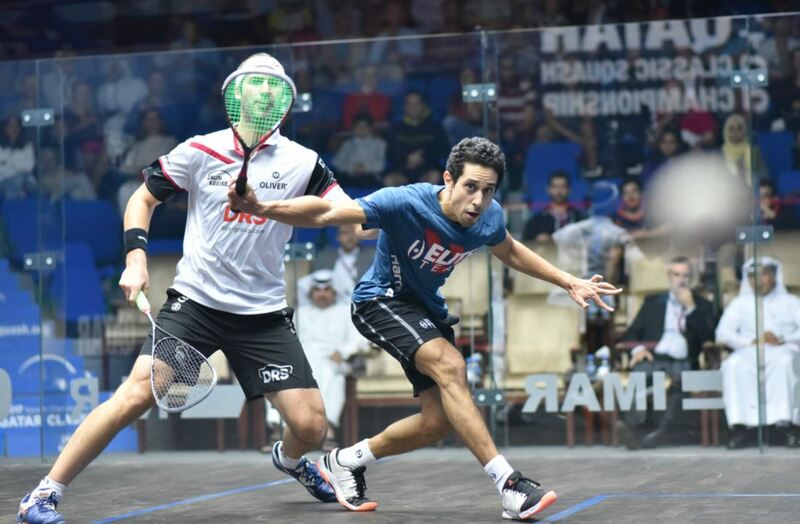 I saw the opportunity today and wanted to make the most of it. 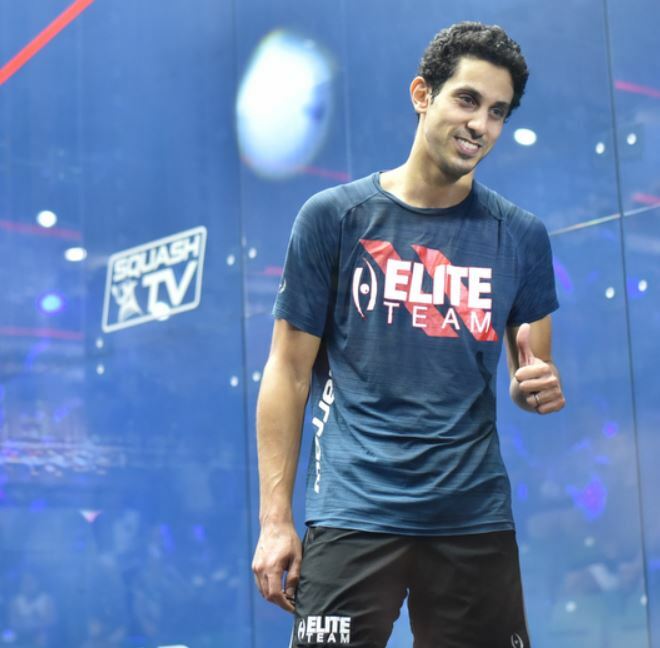 “I think I had a physiological edge – with the crowd supporting me and having been in a semi-final before – and I took advantage of it. 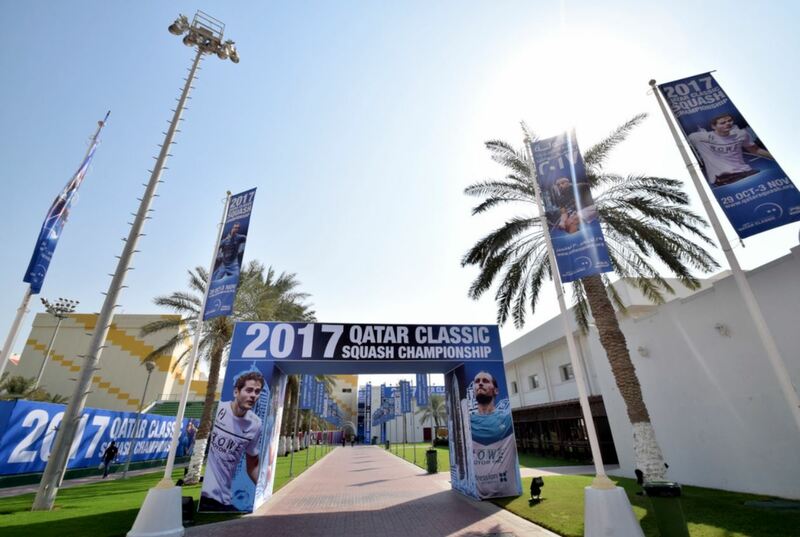 Earlier this season I wasn’t in the zone mentally but I knew I wasn’t far off and finally it materialised this week and I’m so happy.